It's a term homeowners and sellers hear all the time. What does "appraisal" really mean and how will it affect your ability to make a deal? As the market dips and continues to struggle across the nation, many sellers are finding themselves in an unhappy predicament. They have a buyer lined up and an offer on the table, but wait...... the buyer's financing has now fallen through. The asking price of the home has come in over the appraised value. This has led to a unnaturally high number of contract cancellations. According to the National Association of Realtors (NAR), "Twenty-one percent of NAR members in January reported delays in contracts, and 33 percent said contracts fell through.. The number of contract cancellations remains mostly unchanged from December. An increase in the past year of contract cancellations or delays has been blamed on more lenders declining mortgage applications from stricter underwriting standards and low appraisals coming in under the agreed upon contract price." First, it's true that lenders usually won't write a mortgage for more than a home is "worth". This sets them up for a large financial burden should the prospective borrower default on their loan. They will, instead, write a mortgage for whichever price is less, be it the sale price or the appraised value. From a business standpoint it is logical. For a stalled and unpredictable housing market, it is downright frustrating. An appraisal is figured by your local tax office (appraiser's office). They calculate what the market value of your home is based on, the square footage and specifics of your home. Do you have a fireplace, hardwood floors, and four bedrooms? You'll pay more in taxes and have a higher appraised home than the same home with no fireplace and laminate floors. You generally receive a statement from the tax office each year showing you the appraised value of your home. If you feel this is in error be sure to contest it! It is much more likely in this market that homes are appraised for less than sellers are wanting to sell their home for. This is due partly to an ailing labor market that continues to drag home prices down. Appraisals are a tricky business. They are objective and are easily influenced by local market factors. 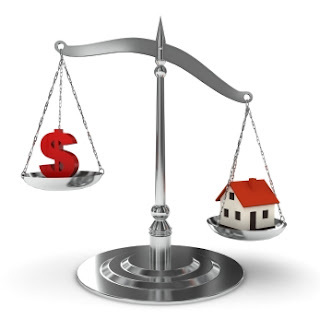 Your local area's market conditions directly affect the appraised value of your home. If there are 10 houses on your street and 4 of them are in foreclosure, you're in for a shock when it comes to the current value of your home. These foreclosed homes could sell at a 15 to 20 percent discount over your home. According to the NAR, "Distressed sales, which tend to sell at steep discounts, continue to hamper home prices nationwide. Foreclosures and short sales accounted for 35 percent of all January home sales, which is up slightly from 32 percent in December."